Flavor that Raises the Steaks! 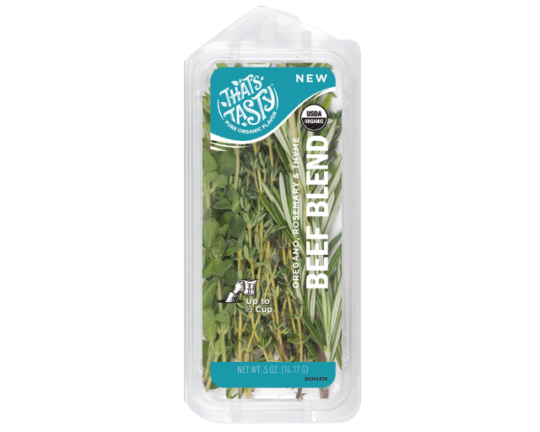 Our blend of fresh herbs enhances the deep savory flavors of beef. Use in marinades, for crusts, or as a sprinkle on top, right before serving, for a perfectly seasoned entree! This blend contains organic oregano, organic rosemary and organic thyme— the perfect flavors to add rich and study flavor to beef dishes. Make an infused olive oil. First let the herbs wilt on a paper towel for a hour or two until it looks droopy and the water has come out. Place the herbs in a sterilized mason jar and top with a quality olive oil. Cover the herbs by at least 1-2″ of oil. Place oil in sun and let infuse for 4-6 weeks. It’s great if you can shake the herbs in oil daily during this time. Then strain the herbs and place in a clean sterilized jar for use in salad dressing, in a marinade, topping fish… the possibilities are endless!